Inland Empire Video Game Truck Mobile Theater Rental Service by Rolling Video Games. 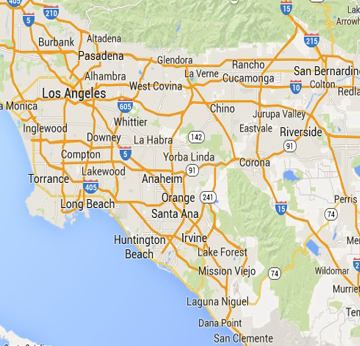 We Cover most of the immediate Inland Empire areas. October 2013Thank you my son and his friends enjoyed the game bus yesterday. The two gentleman From your company that hosted the party on the game bus were awesome. This was a great experience for my Son and also myself.. At first I thought it was a little high in price, but it was well worth every penny.. We did have a technical issue during the party, but the game coaches quickly assessed the problem and the party went on , the kids and parents are still talking about it! My Son was so appreciative best birthday yet!!!! February 2014Great party! The kids had a ball, and the coaches were awesome! My only concern was that it was SO COLD in the truck! It bothered me more than the kids, but I just wanted to mention it. March 2014 The guys were fantastic!!!! Thank you for such a great time - my husband was so surprised and he really enjoyed it! Thanks for helping us celebrate his 50th birthday exactly how we wanted!